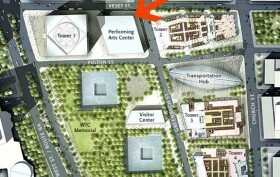 The project to bring a performing arts center to the World Trade Center is finally back on track, almost 15 years after the idea was included in the original vision for rebuilding the area post-9/11. Gov. 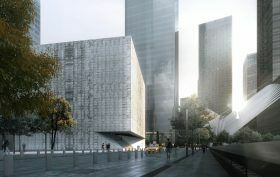 Andrew Cuomo announced on Thursday an agreement for a 99-year lease between the Port Authority and the World Trade Center Performing Arts Center Inc. (PAC) for $1 per year, paving the way for construction to begin. Named for the billionaire who gifted $75 million to the project, the Ronald O. Perelman Performing Arts Center will include 200,000 square feet of space, three halls and a rehearsal space, a restaurant and a gift shop. If everything moves smoothly, the center could open as soon as the 2020 or 2021 season. It’s been almost 13 years since Frank Gehry initially designed the Performing Arts Center at the World Trade Center (PACWTC). After his plans got shelved in late 2014 due to fundraising issues and construction delays on the transit hub below, it seemed like the last vacant site at the complex would forever remain that way. That is until this past fall when a $75 million gift from billionaire businessman and philanthropist Ronald O. Perelman brought the $243 million project back to life and made it possible to proceed with new designs. Despite this new optimism, it looks like the Center will be delayed yet again, as Crain’s reports that unresolved issues between the Lower Manhattan Development Corp. and the Port Authority are setting things behind schedule, which could cost the project $100 million in federal funds.